Allyson joined the firm as an associate in 2016 upon returning home to the Berkshires after practicing law in Boston. Her areas of concentration include estate planning, estate administration, and real estate. 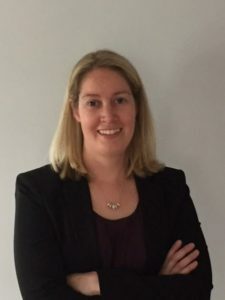 Allyson has three years of prior experience representing the City of Boston on various municipal matters ranging from drafting and reviewing contracts, City ordinances, state legislation, license and intergovernmental agreements, and various litigation. She enjoys the challenge of assessing issues related to a particular matter and advising her clients on the most effective means to accomplish their desired outcome. Allyson attended Suffolk University Law School and earned her bachelor’s degree in History and Political Science from Williams College. Since her return to the Berkshires, Allyson once again immersed herself in the community by serving on the North Adams Planning Board and as a member of the Board of Directors of Community Health Programs.